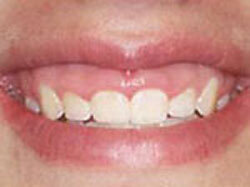 Get a new beautiful smile and improved periodontal health. 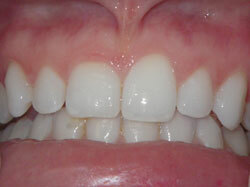 Periodontists are often considered the plastic surgeons of dentistry. There are several periodontal procedures available which lay the ground work for restorative and cosmetic dentistry and/or to improve the esthetics of your gum line. You may have asked Dr. Abufaris about improving your “gummy” smile because your teeth appear short. Your teeth may actually be the proper length, but they may be covered with too much gum tissue. 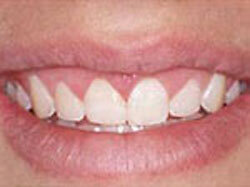 To correct this, Dr. Abufaris can perform a procedure called crown lengthening. During this procedure Dr. Abufaris will reshape excess gum and bone tissue to expose more of your natural tooth, creating a natural, brood smile. There are several benefits to crown lengthening. 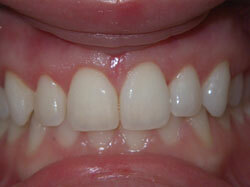 You will have a new beautiful smile and improved periodontal health.